Enable distributed subrange repairs for clusters that have out of memory issues due to large numbers of standard subrange repair tasks. 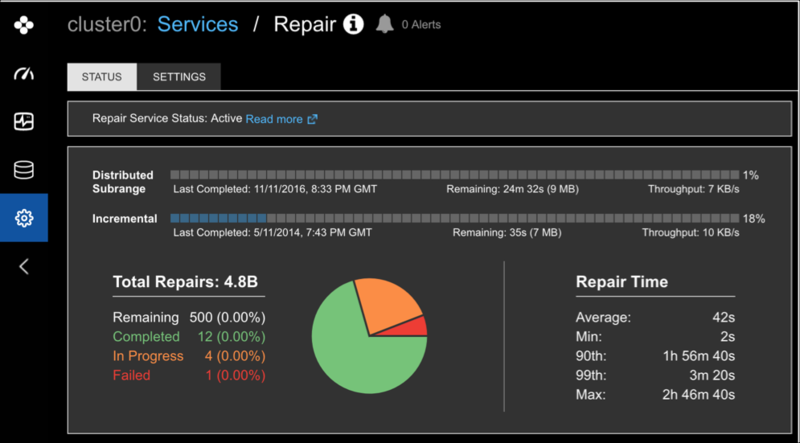 The distributed subrange repair feature is available for OpsCenter versions 6.1.7 and later. 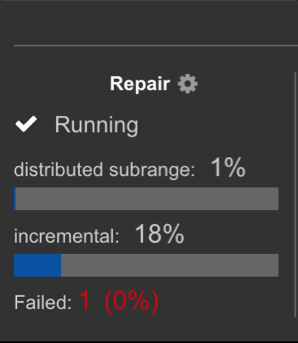 Track the progress of distributed subrange repairs in the Repair Status panel. Track the progress of distributed subrange repairs in the Repair panel within the Nodes summary area.